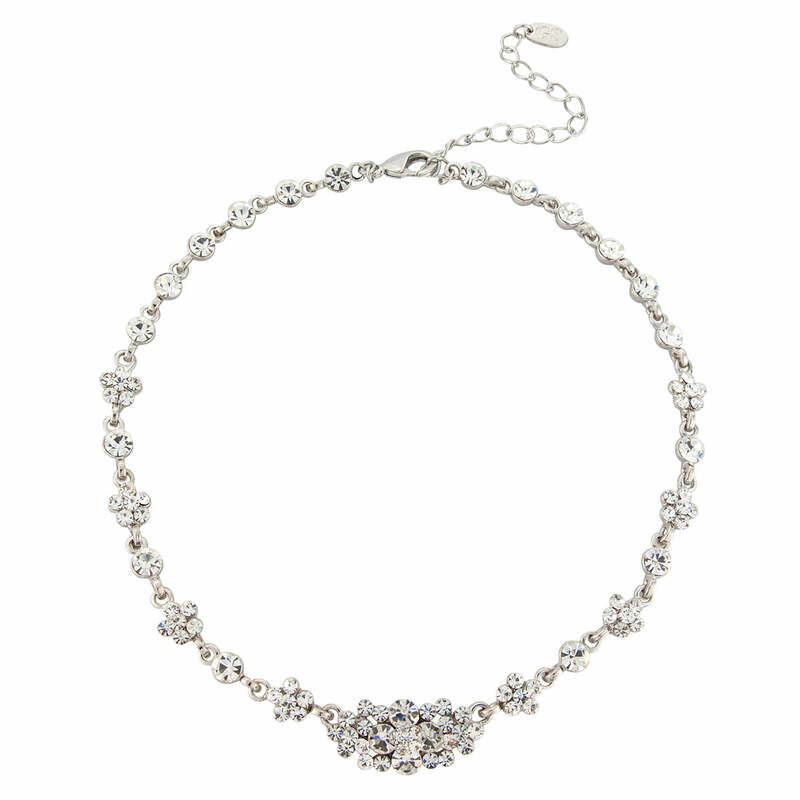 Oh so simple, this stunning crystal cluster collar design is full of 1940s glamour. Simple and sensational, Starlet of Class Necklace is divine. Featuring a bejewelled centre and chain set with petitie Austrian crystal flowers and single crystals, this 'piece' sits beautifully on the collar bone and its sparkle is captivating. A divine necklace for a dinner date or extravagant black tie event, it looks fabulous coordinated with Starlet of Class Earrings and Bracelet for a touch of classic Hollywood glamour. Brides who adore subtle 1940s jewellery will fall in love with the sheer elegance of this piece. Accessorize with a bejewelled hair comb set in a low side bun for old school movie star style. I bought this to go with my v neck wedding dress. It looks perfect. It looks a very expensive piece of jewellery - it has a good weight, good construction and sparkles well.